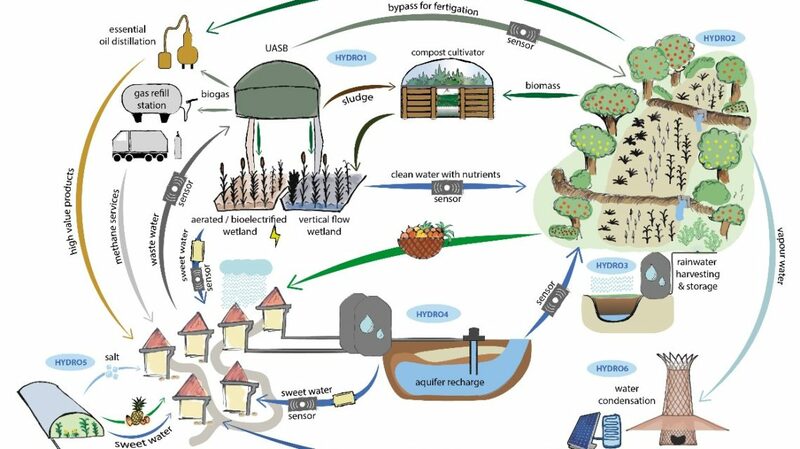 HYDROUSA is a Horizon 2020 project which will provide innovative, regenerative and circular solutions for: (1) nature-based water management of Mediterranean coastal areas, closing water loops; (2) nutrient management, boosting the agricultural and energy profile; and (3) local economies, based on circular value chains. The services provided will lead to a win-win-win situation for the economy, environment and community within the water-energy-food-employment nexus. HYDROUSA water loops will include water from non-conventional sources including wastewater, rainwater, seawater, groundwater and vapour water, all resulting in recovered and marketable products. Financed by Horizon 2020, AGENSO is participating in this project which involves 27 European partners from 10 countries, and has 25 replication actions all over the world. The development of a serious game for disseminating the project results.